Godzilla: King of the Monsters is definitely shaping up to be the ultimate Godzilla film with kaiju monsters (Titans) like Mothra, Rodan, and King Ghidorah. However, there have been promotional videos popping up that teased other Titans, with some believing it could be the Anguirus. Well, there’s a new interview from director Mike Dougherty where he reveals that there will be more than one Titans what aren’t Toho Monsters. In an Eigahiho Magazon interview that’s been translated by Gormaru Island, audiences will get to see returning and new monsters. The new monsters are original creatures created for Warner Bros’ MonsterVerse. 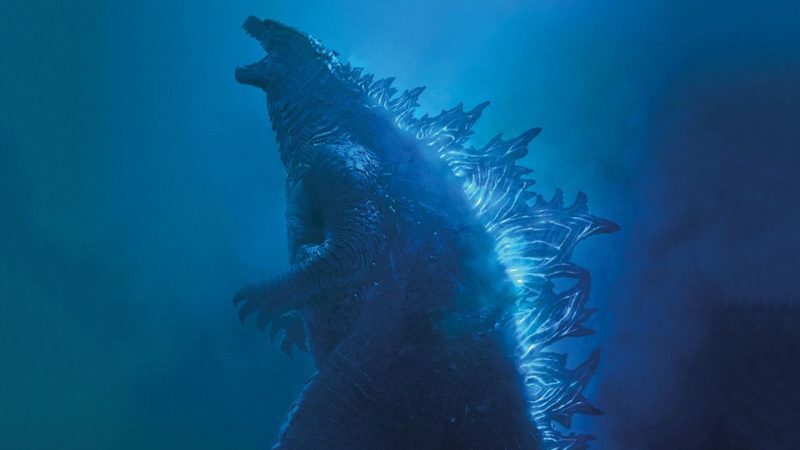 “The unpublished/unannounced Titans to appear [in] the film are not Toho Monsters, so don’t expect them there,” Dougherty said. It’s going to be a shocker for fans who have been trying to guess the mystery Titans in the Godzilla: King of the Monsters trailers and TV spots. Synopsis: Following the global success of “Godzilla” and “Kong: Skull Island” comes the next chapter in Warner Bros. Pictures’ and Legendary Pictures’ cinematic MonsterVerse, an epic action-adventure that pits Godzilla against some of the most popular monsters in pop culture history. The new story follows the heroic efforts of the crypto-zoological agency Monarch as its members face off against a battery of god-sized monsters, including the mighty Godzilla, who collides with Mothra, Rodan, and his ultimate nemesis, the three-headed King Ghidorah. When these ancient super-species—thought to be mere myths—rise again, they all vie for supremacy, leaving humanity’s very existence hanging in the balance. Godzilla: King of the Monsters stomps into theaters on May 31, 2019.